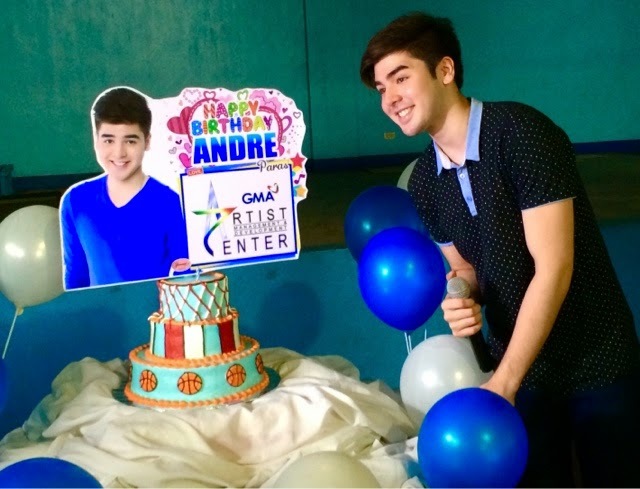 We went to Tahanang Walang Hagdanan in Cainta Rizal today to celebrate Andre Paras' birthday. 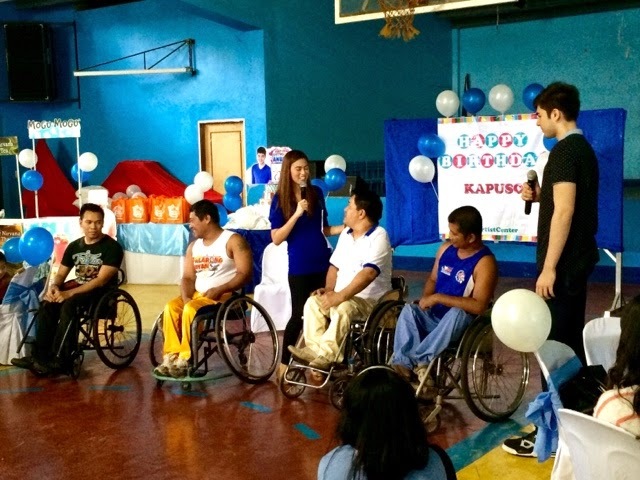 The Kapuso hunk who stars in afternoon rater Half Sisters wanted to do it small and intimate with the SPED children and Paralympic athletes in the center. Andre is so tall, he probably worked out a lot judging from his physique. In the show, he's facing a lot of problems because Barbie Forteza's character has been thrown out of their house together with her grand mother. He tried to help by pulling out his savings and giving that to her and hope it would help. 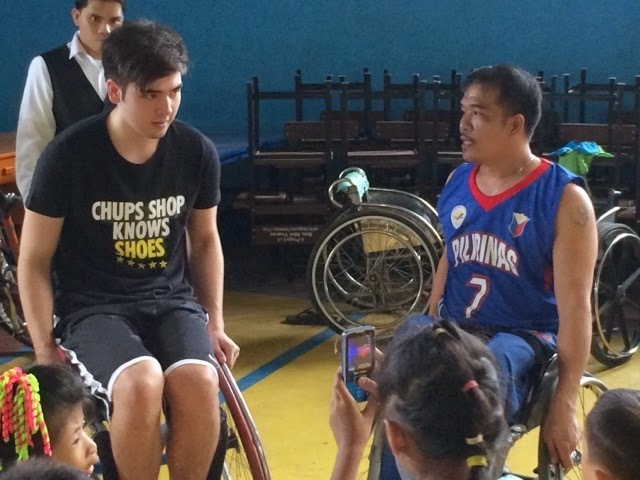 Derrick Monastero aka Baste also gave what little allowance he has so he could also help. 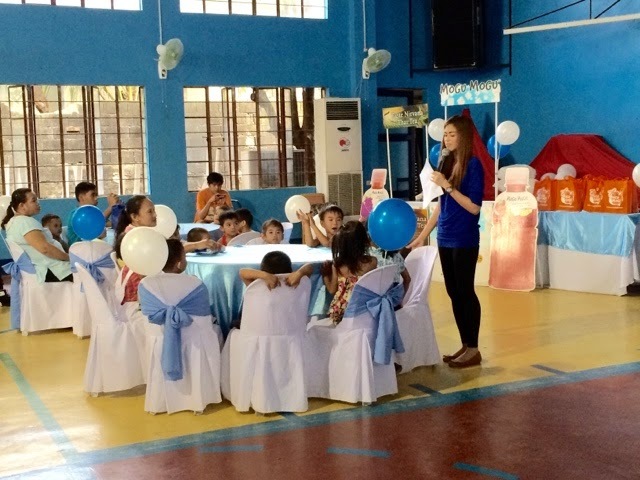 In the center, the event was hosted by Arianne Bautista. Andre started by inviting a few ladies to a short singing contest, they gladly obliged. It was also cute because they serenaded Andre one by one. These ladies were so nice and they didn't hesitate to do this live and in acapella. They won cash prizes from Kambal Pandesal and goodies from Monreo Biscuits and Active White beauty products. 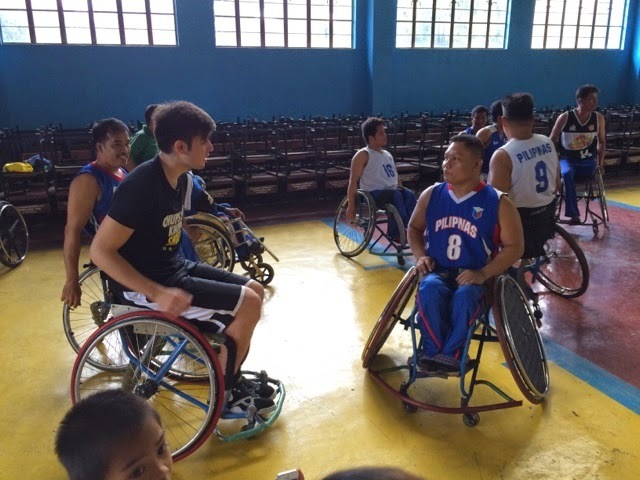 They continued with another game for the guys from Tahanang Walang Hagdanan. The longest greeting turned into a singing contest too, they had fun and laughed because they were cracking jokes too. 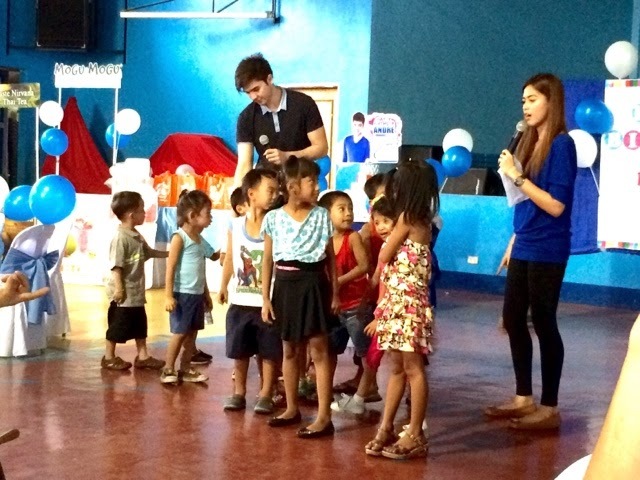 Andre then he also danced with the kids then gave away products from Cherifer, Magnolia, Thai Tea and Mogu Mogu. The kids had a blast! Andre pretty much didn't wish much for himself but said he wishes them well in the center. 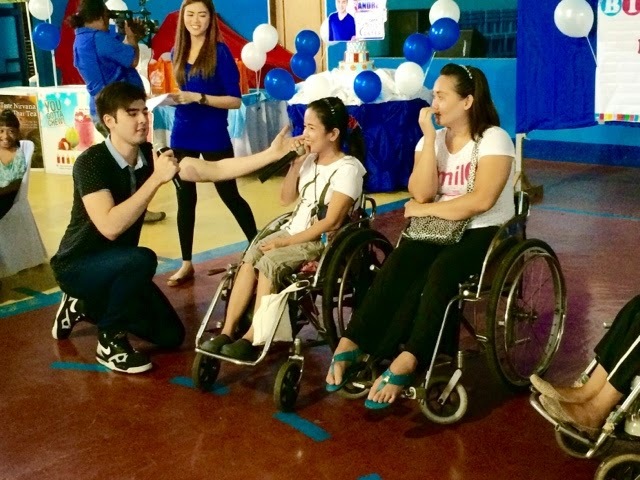 He played with them later on using wheelchairs made from Tahanang Walang Hagdanan too. These guys are athletes and craftsmen, would you believe? They started teaching Andre how to play basketball while in a wheelchair so he could get to experience how it is playing in this state. These guys really played hard and I could see he did shoot quite a bit because he's a fine player too. I kept updated because they called him Paras throughout the game much like an announcer would do it in PBA. He was humbled, touched by these guys accepting him to their circle. He said these guys were very serious about winning. It's hard so just imagine how they do it in real paralympic games. 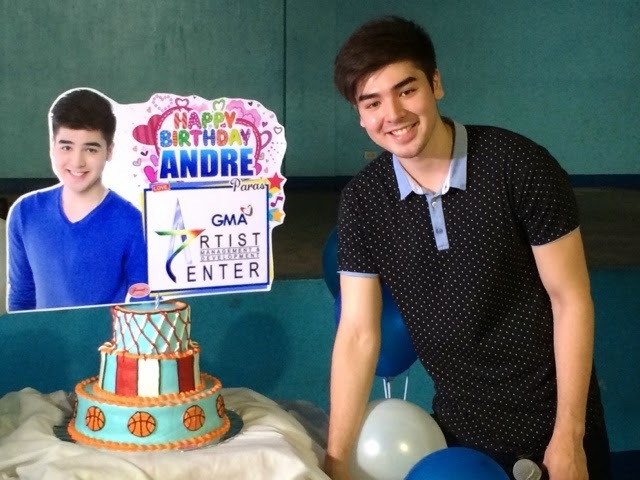 Andre thanks everyone who made this possible especially GMA Artist Center!